BREC's Baton Rouge Zoo was a dream of the Recreation and Parks Commission as early as 1960. In 1965, the taxpayers passed a millage election that provided more than three-quarters of a million dollars to build the facility. At that time, a Zoo Director was employed to help design and implement the plans for the Zoo. Matching funds were obtained from the Bureau of Outdoor Recreation. Construction began in 1966 and BREC's Baton Rouge Zoo first opened to the public on Easter Sunday, 1970. The residents of East Baton Rouge fully embraced the concept of the new Zoo, and a sense of ownership was instilled in the community, aided by the urging of television personality Buckskin Bill. The words of Buckskin Bill, "Baton Rouge needs a Zoo" at the end of his television program rallied the residents of East Baton Rouge Parish. The Zoo is a place where people connect with animals. 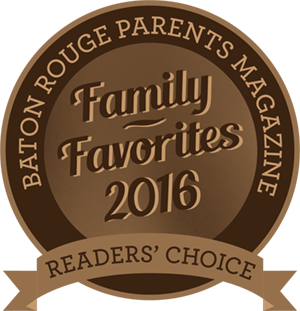 Over the past forty years, the Zoo has grown to become the #1 year-round family attraction in Baton Rouge. With more than a quarter million guests each year, the Zoo attracts visitors of all ages and backgrounds. The Zoo is a favorite place for families and groups to discover the animal kingdom. The Zoo is very active in conservation programs and fully participates with other zoos around the world in nearly 30 international Species Survival Plans (SSP) for critically endangered species. Three of these SSP animals, the Guam Rail, Arabian Oryx, and Golden Lion Tamarin, have been successfully reintroduced into the wild and represent living proof of our long-term commitment of reintroduction to strengthen and supplement wild populations of endangered and threatened wildlife. The Zoo conducts active outreach and in-house educational programs. These programs are aimed at making the public aware of the problems confronting the wildlife of the world. Our educational programs reach thousands of children in school groups each year. Educational programming has expanded to include activities such as community outreach programs, reading programs, day camps, weekend classes, teacher workshops, on-site live animal and artifacts encounters and demonstrations. The demand for our educational programs increases every year. We also work very closely with the Louisiana State University School of Veterinary Medicine conducting research on several species. Behavioral studies are also conducted through other departments at Louisiana State University as well as other colleges throughout our region. BREC's Baton Rouge Zoo is owned and operated by the Recreation and Park Commission for the Parish of East Baton Rouge (BREC), a public government agency. BREC was created by an act of the Louisiana State Legislature in 1946 and is governed by a nine member appointed Commission. BREC is funded by Ad Valorem taxes, fees and charges and grants, gifts and donations. The BREC system is accredited by the Commission for Accreditation of Park and Recreation Agencies. BREC has won the prestigious National Gold Medal Award for excellence in Recreation and Park Administration in 1975 and 1991. BREC was a finalist for the award in 1998. BREC's Baton Rouge Zoo is supported by the Friends of the Baton Rouge Zoo organization. The Friends' mission is to support the Zoo and its programs. The Friends work closely with BREC to raise funds for the capital projects, increase attendance through events, and to promote community involvement. The Friends of the Zoo has a Federal Internal Revenue Service 501(c)(3) status.